Courses to guide you to a life that is more fulfilling, enable you to improve your health and well-being and discover a sense of purpose. Nourish your spirit with the treat of time for YOU and at the same time enrich your knowledge. If you are starting up a new business, then there are affordable coaching packages available, again tailor made to your needs. There is a package to suit you especially if you are seeking help to get an immediate online presence, valuable strategies and much more. Advanced Polarity Coaching – follows on from the Introductory module and includes Introduction to Polarity Therapy, Seven Circles and Reiki One. Training to all levels, specializing in Reiki for the allied health practitioner, coach or counsellor. Each tr aining is tailored to suit your needs, however it is based on a very traditional model with a short lineage back to Mikao Usui. Reiki is ideal to use with hypnotherapy as in supports both you and your client on another level and is a superb tool for teachers. Our speciality is One to One Reiki training. You get to ask all the questions you want during your training session that you may be too shy to bring up in a larger group. Seven Circles – The Spiral Path is a unique program that works on many levels, bringing together the various energy therapies that are offered by Meg Phillips. This course can be taken on its own or as a module of the Advanced Polarity Coaching course. 2011 saw the start of this course, based on the work of Randolph Stone and his Polarity Therapy. 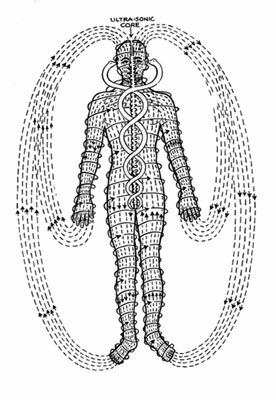 It covers the foundations of Polarity Therapy. This can be added as a module to complete Advanced Polarity Coaching. Exercises – Polarity Yoga is quite unlike the Yoga you may have already experienced. Specific exercises are chosen according to the energy blocks or issues needing resolution. Useful for therapists and medical practitioners alike to fully understand the philosophy and implications of continued or improper use of the remedies. They are also ideal if you have a cupboard full of remedies that you have accumulated from your visits to the homeopath/naturopath. The workshops are ideal for learning to use the remedies correctly and very cost effective. The workshops are designed to help you to understand the remedies better and to use them safely in between consultations with your existing practitioner.